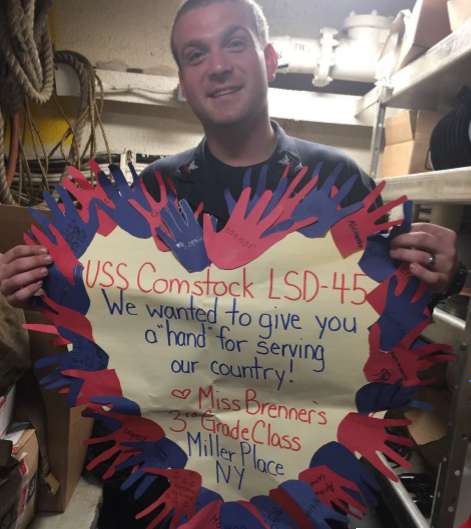 As part of the Miller Place School District’s ongoing Character Education initiatives, students at the Laddie A. Decker Sound Beach School recently created a wall of positivity outside the school’s cafeteria. 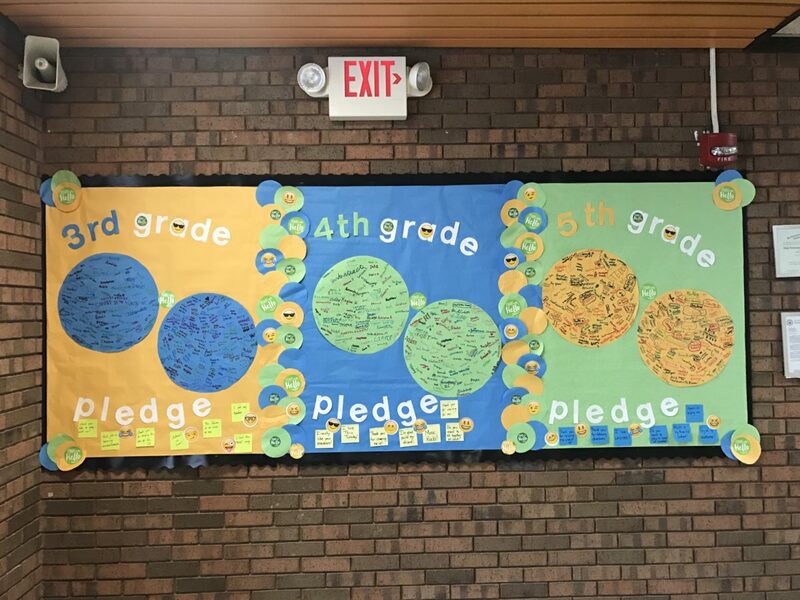 The wall features a collage of colorful paper, each of which has a different positive message written by every teacher and student in the school. 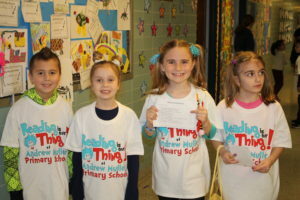 In addition, more than 600 students signed a pledge to “Start with Hello” and promote a positive culture of kindness. A full week of daily activities were planned around these important, simple, yet powerful messages. The purpose of this project was to bring smiles to the faces of students, teachers and staff members throughout the school. 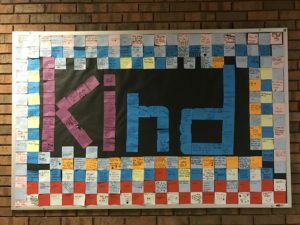 Not only did each student receive his or her own Post-It note to contribute to the wall, many students also shared their positive messages with their friends. Examples of the positive Post-Its include: Make Everyone Smile; Everyone has something nice to do or say; If you can’t be a pencil to write someone’s happiness then be a nice eraser to remove their sadness; The word ‘impossible’ is really I’m possible and Never give up. 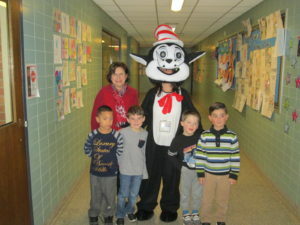 The Miller Place School District recently celebrated Read Across America Day with a Districtwide event to help students share their love of reading. 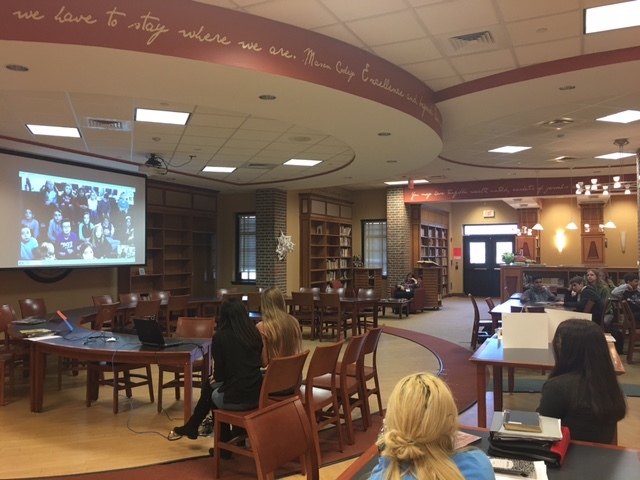 Students at Miller Place High School used Skype, an online video communications service, to read age-appropriate books to elementary school students at the Laddie A. Decker Sound Beach School. After reading the books, the high school students asked their elementary school audience what they thought about the stories. Laddie A. Decker Sound Beach School students then asked the high school students about the books they used to read when they were younger and what kinds of books they enjoy reading now. 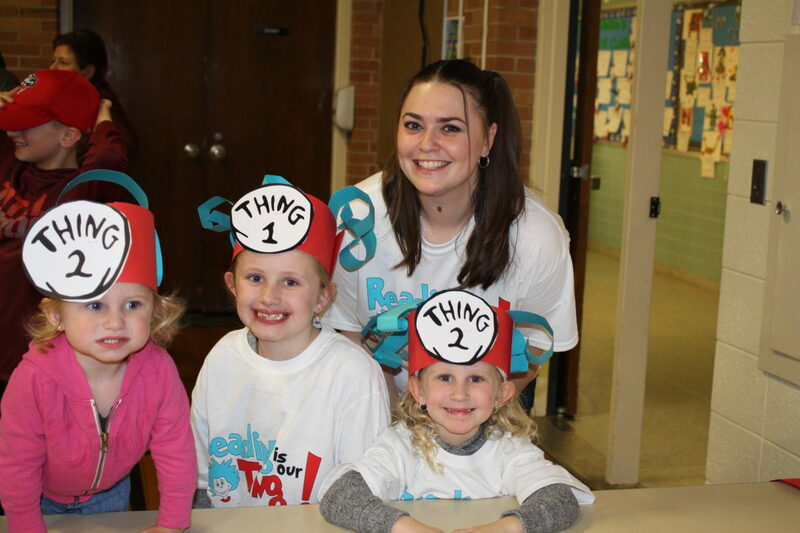 This program was part of an ongoing Miller Place School District initiative intended to help students connect with their peers and develop high-level literacy skills from an early age. The Andrew Muller Primary School (AMPS) in the Miller Place School District will be holding Kindergarten registration from Monday, March 20, 2017 until Friday, March 24, 2017 from 9:45 a.m. – 3:00 p.m. Registration is by appointment only. 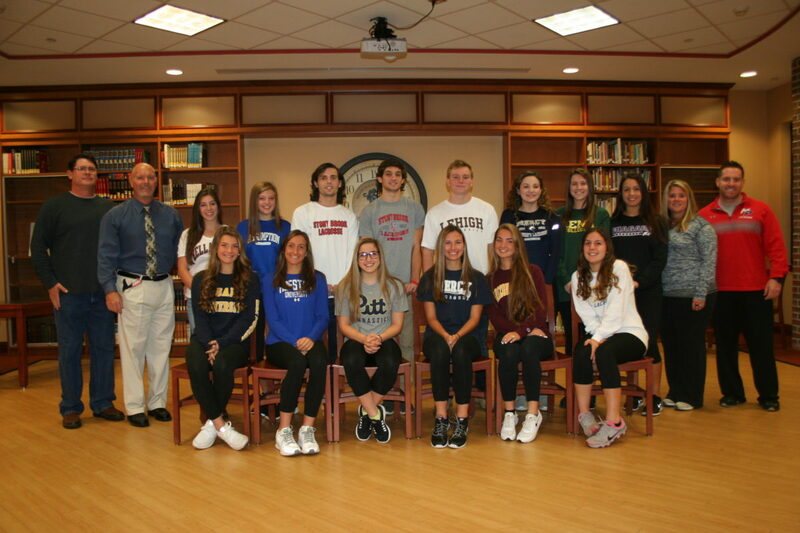 Parents are asked to call the AMPS main office at 631-474-2715 to schedule an appointment. Parents interested in registering a child or children to enter kindergarten during the 2017-2018 school year must ensure each child has met all age and health requirements mandated by New York State. Information and required forms are available online on the District website. Please print out these forms, complete them in full and bring them with all required documentation to the scheduled appointment. Only children who will be five years old on or before December 1, 2017 and are residents of the Miller Place School District are eligible for registration. New York State current mandated immunizations include: 4-5 Polio (IPV/OPV), 4-5 DPT (DTap/DTP), three Hepatitis B, two MMR and two Varivax. Parents should also bring each child’s current immunization record to registration. Prospective students must also complete a physical examination within one year prior to the first day of school, and the completed examination form must be submitted to the AMPS Health Office no later than August 22, 2017. 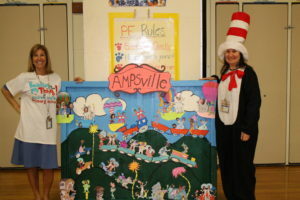 For more information regarding Miller Place Schools and district happenings please visit the district’s website: http://www.millerplace.k12.ny.us/ and the Andrew Muller Primary School webpage. Students at Andrew Muller Primary School had some sizzling excitement as Mad Science presented an assembly called Fire and Ice. Students witnessed and learned about the amazing properties of fire. 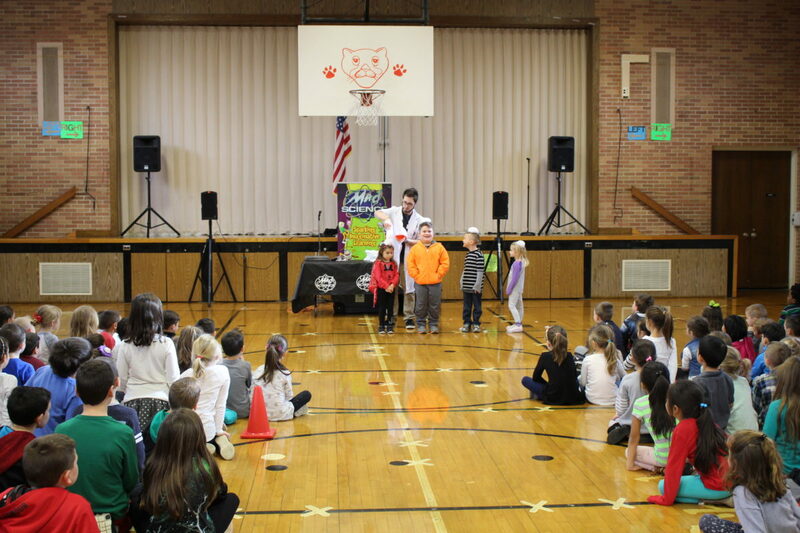 Then, the show cooled off with a spectacular demonstration involving dry ice. During the presentation students also experienced how inhaling CO2 will make you burp. 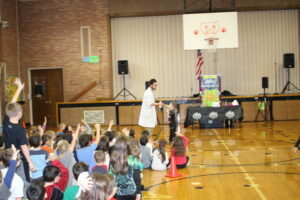 The event was part of a Miller Place School District initiative to inspire students to develop an interest in science, technology, engineering and mathematics (STEM). 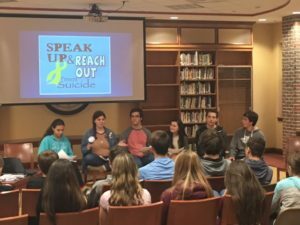 Students at Miller Place High School recently came together during to discuss the importance of mental health in adolescence and share tips on how to support their friends and peers. 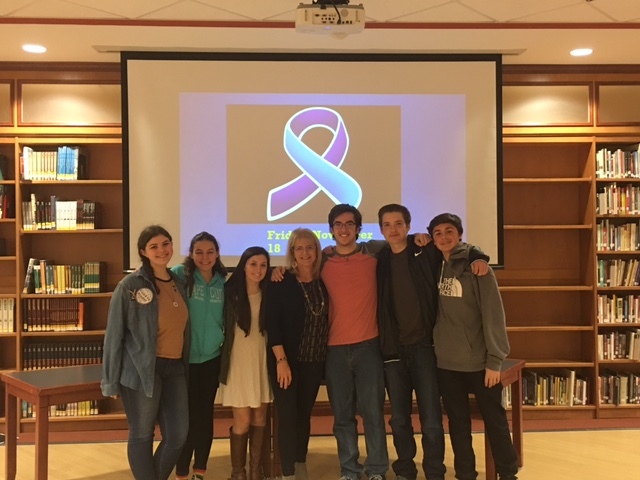 Student Assistance Counselor Lisa Aitken coordinated a panel of students to meet with the student body in smaller groups and share a presentation, “How to Help a Friend.” Following the panel, students discussed critical mental health aspects, including suicide awareness and prevention. 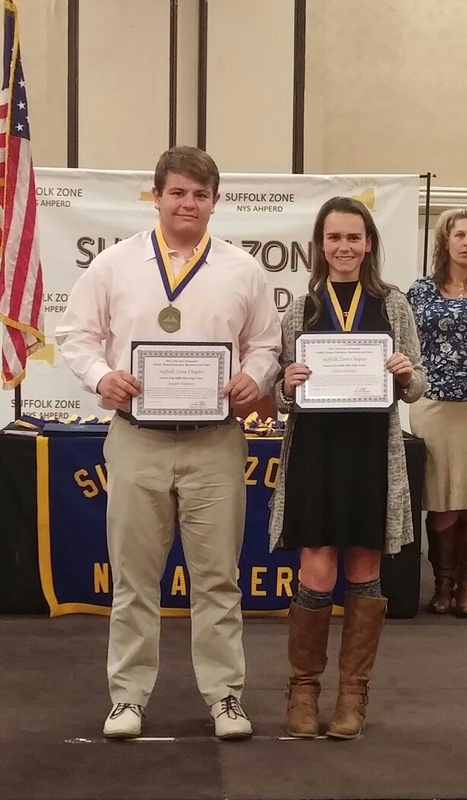 This program is part of a District initiative to raise mental health awareness and support District students.